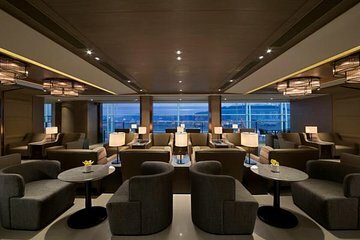 Enjoy relaxation, comfort and peace and quiet with access to the Hong Kong International Airport Plaza Premium Lounge. Escape the rush of the terminals and choose from three, six or 12 hours of relaxation depending on your departure time. With 24-hour a day services and amenities like hot showers and delicious food, this is the perfect option for wary travelers. The well-kept lounge allows for the ultimate unwinding between flights and the airport provides hassle-free transit from Hong Kong to any destination. Fantastic with everything you need during a stop over. Luxury showers. Han dy spot to freshen up on a long haul flight. Had to wait a bit, but this was well organised and we appreciated the chance to shower and change clothes. Would recommend if you have time. We had a 12 hour layover at the Hong Kong airport on our way to Delhi, India. We took a tour of Hong Kong that picked us up from the airport and then returned us to the airport. It was a pleasant and convenient way to see some of the highlights of Hong Kong. 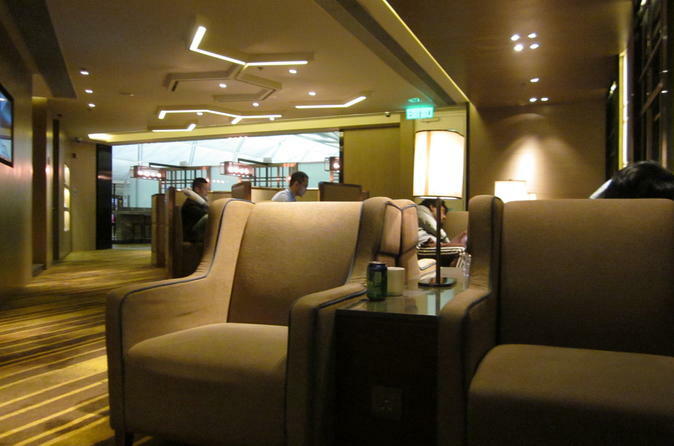 After returning to the airport we spent the remainder of our time resting in the very comfortable Hong Kong International Airport Plaza Premium Lounge. Oh my goodness. Highly recommend their facilities specially to refresh after a long flight. We could have stayed all day. Fabulous service, made transit very easy. Overall the experience was ok. I was there for 12 hour period which began about 8pm. There was no comfortable seating available as there only 12 soft chairs in the entire lounge. The computer nooks were all taken up by people trying to curl up and get some sleep. There were plenty of dining tables and hard chairs. Food service stopped too early. In all fairness, it should have been available throughout my 12 hour stay. There were however, plenty of non-alcoholic drinks and a few snacks available. By early morning the lounge was very overcrowded but I had managed to secure a comfortable chair by that time. Breakfast, which was pretty good, began at 6am. Glad that we booked prior to our flight. Our client arrived in Johannesburg and we had booked the lounge for him as he had a long wait for his connecting flight. For some reason he was not allowed entry. Very disappointing and waiting to hear the reason why. Excelent alternaritve to the Airline Lounges if you do not qualify. We had a 6 hour layover starting at 6 am and Hong Kong Airport inside security point does not wake up until around 9 am at the earliest. Showers were good and the food ,coffee etc was of a good standard. This was very welcome for us because we had come off an overnight flight and were in the airport for six hours before our connecting flight so we were able to have something to eat and grab a little sleep and freshen up so our next flight was manageable. Would highly recommend if you have some time at the airport.